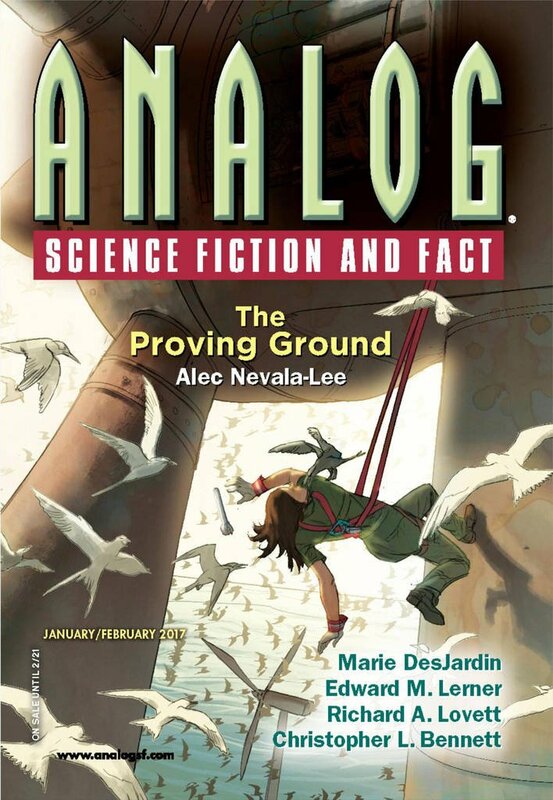 "The Last Mayan Aristocrat," by Guy Stewart [bio] (edited by Trevor Quachri), appeared in Analog Science Fiction and Fact issue 01-02|17, published on December 15, 2016 by Penny Publications. Pro: IxChan Pana gets what she really wanted: she preserves the Mayan past for posterity and she earns the right to choose her own future. We don’t know what she chooses, but we know she puts the past behind her. Con: The story never makes her very likable, so we don’t much care what she chooses. The story implies that Camazotz dates from the time of the dinosaurs, but little is done with that idea, and we have no clue whether anything happens to the bones in the cenote.